HEY all iem new here.........iem setub grand-multiplayer. Hello [mention]Ehab[/mention], I have looked into this and it looks like I messed up slightly with a launcher update I did the other day, I've rolled out a patch for the launcher which you will get automatically. 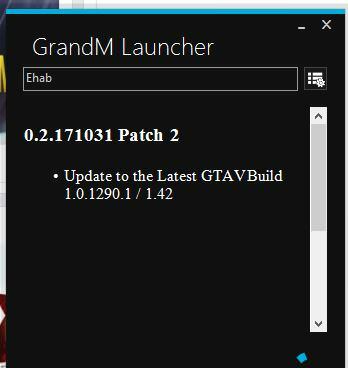 The launcher will also tell you there are updates available please download them as this will fix the issue you were having. Please let me know if this is now fixed or not. or i download update 1.42 ..
We do not endorse nor support the use of pirated GTAV versions and because of that, we do not provide support to those using such copies. We do not provide support to those using illegal copies of GTAV.